An electric roaster frees up your oven for making side dishes and desserts, which is particularly useful for big family dinners or on holidays. 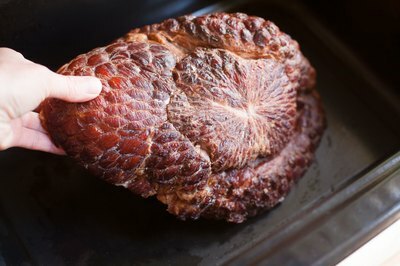 While roasting a ham is often more a case of heating a ham that's already fully cooked, as opposed to cooking, it can be time-consuming. Check the information on the ham, or ask the store where you bought it, whether it's fully cooked already or not. Preheat the electric roaster to 350 degrees Fahrenheit. Place the ham in the electric roaster, fat side up. 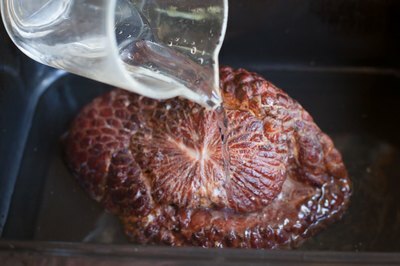 Add water to the roaster until the bottom 1/2 inch of the ham is sitting in it. 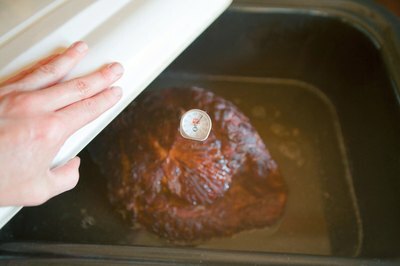 Cover the ham and set your timer for the appropriate time, based on the weight and cut -- whole or half -- of your ham. Cooking times for ham is roughly 18 to 24 minutes per pound for a half ham, and 10 to 12 minutes per pound for a whole ham. 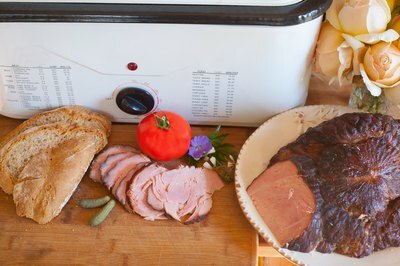 This is based on a cooking temperature of 350 F.
Check your ham periodically during the cooking time because an electric roaster may cook meat more quickly than a conventional oven. 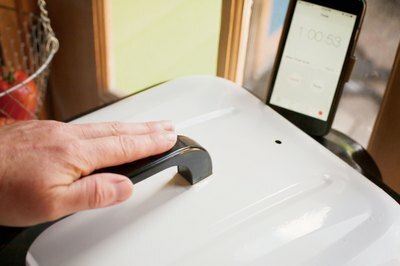 Monitor the water level during cooking, adding more as necessary. 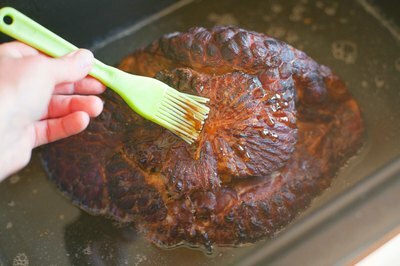 Apply a glaze to the ham 30 minutes before the end of the cooking time, if you wish. 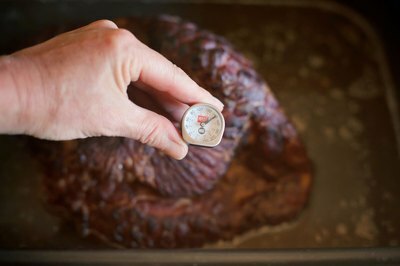 Insert an instant-read meat thermometer into the center of the ham. Once it reads 140 F, remove the ham from the electric roaster. 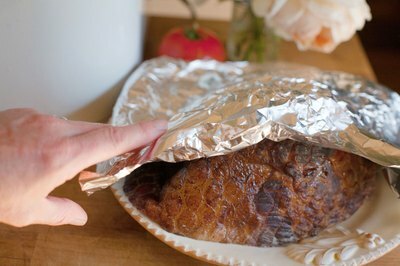 Allow the ham to rest, covered in aluminum foil, for 15 minutes.